German automotive tuner Brabus has been offering tuned cars for the rich and even wealthier since 1977. Besides cars, the tuner offers a yacht customization tune-up, and it newly turned its interest to the skies, where it will convert private jets to the preferred specifications of paying customers. The new venture's work will be focused mainly on jet cabins, where it will offer such upgrades as leather upholstery, Alcantara accents and wood trim. 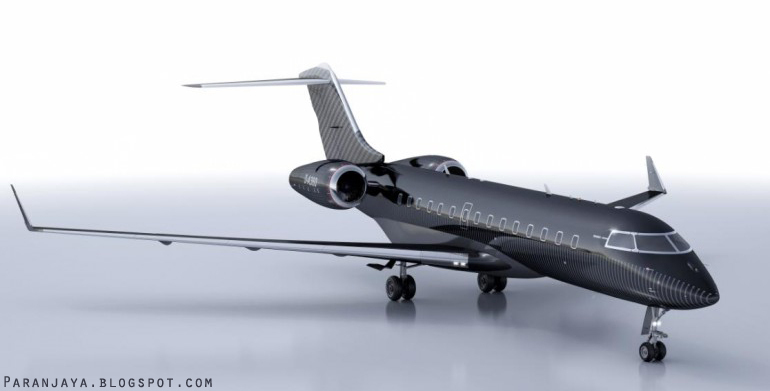 The company also mentions that it can customize the exterior of the plane - so that jet with matte black vinyl wrap, exposed carbon fiber accents and neon lights. Brabus says that customers can either work closely with it in designing their own plane from the ground up or can choose from several pre-designed packages. The "Sportive" package is a sports car-inspired, gray-and-black theme with leather, Alcantara, indirect LED lighting and carbon fiber. Red stitching adds to the fast, high-end supercar feel. It shows some planes with a range of forms of carbon fiber designs and painted winglets. Entertainment system inspired by its iBusiness 800. The entertainment system includes docking for multimedia devices like the Apple iPad. Brabus offers its airplane customization services on both brand new and existing heavy jets.